On Independence day, Bestylish is offering a great Lucky Size Sale where they are giving Flat 80% off on huge variety of products. Grab this offer as soon as possible as it will not last longer. Products starting at just Rs 40 only. How to get Flat 80% Off on Bestylish.com? TIP: To save additional, use coupon code : BSPROMO to get additional 20% off if your purchase amount is more than 2000. Note: Deal valid only for 15th August'12. Grab before all good products get sold out. Click here to see all available at the moment. Myntra.com is back with its super deal. Get 66% off on Men's Graphic Tees. 100% Cotton T-shirts at just Rs 136 and Polo T-shirts starting from Rs 272. There are many option to choose from. Just browse the collection and we are sure you would love to see it. How to get 100% Cotton T-Shirts at Rs 136? Click here to see all T-Shirts. Note: Shipping Charges of Rs 39 will be charged if total order amount is less than Rs 499. Seventymm is offering a great discounts on Men's Trouser. They have range starting from Rs 399. You can use a Rs 50 off coupon by following below steps to get Trousers at Rs 349 only with free shipping. They have good range of trousers. How to buy Men's Trousers at Rs 349? 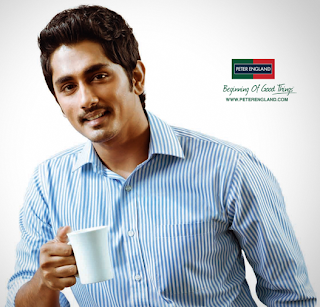 How to get Peter England & Parx Shirts at Rs 349? 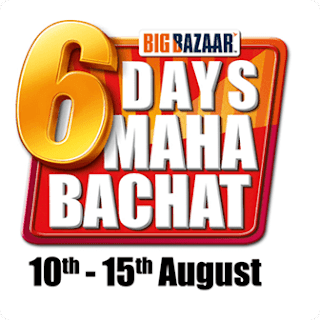 Big Bazaar on occasion of Indenpendence day celebrations has came up with six day ‘Mahabachat’ shopping Mela from August 10th to 15th August. There are great discounts. In addition to that there will be discount for food products, fabrics, furniture and home appliances. This offer is now also live online at FutureBazaar, Futurebazaar is the online venture of the Future Group, owner of India’s largest retail brands Big Bazaar. How to avail FutureBazaar Maha Bachat Sale?